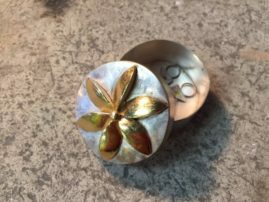 Add the luster of gold to your silver fabrications using keum-boo. 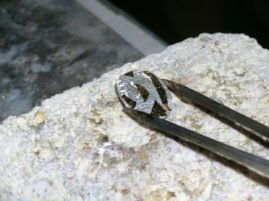 In this ancient Korean technique (pronounced kum-boo, meaning ""attached gold""), pure gold foil is bonded to the surface of another pure metal such as fine silver. The result can be dramatic with rich color and texture. 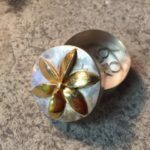 This is a great technique to inexpensively add gold to your work for a beautiful mixed metal look. 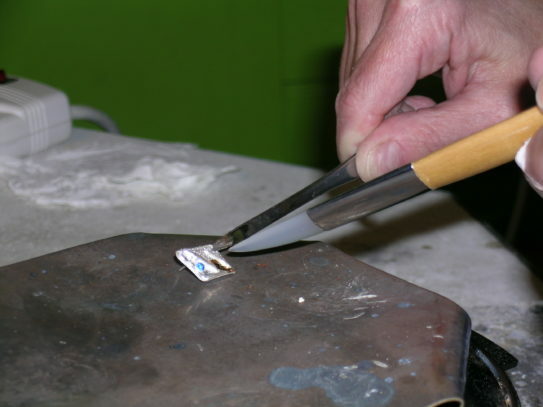 Students must bring finished PMC pieces, fine silver, or sterling silver pieces with a fine silver finish to class for applying the keum-boo process (mostly flat surfaces, no hollow forms). All levels.